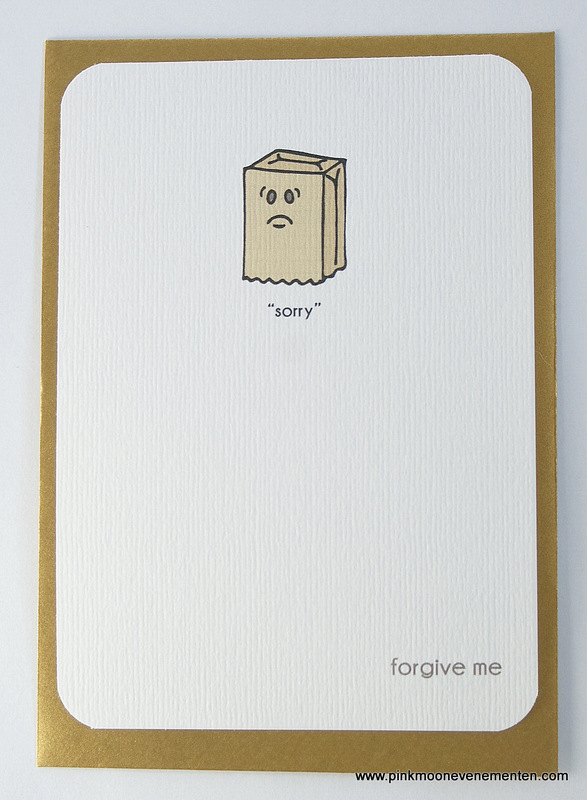 “Sorry” is a sweet card to ask for forgiveness. All illustrations are hand drawn by Mara in her characteristic whimsical style, scanned, digitally colored and printed on heavy cardstock. Posted on April 6, 2013 April 6, 2013 by maraoudenesPosted in stationeryTagged brown bag, funny card, illustration, sad, sorry, whimsical style. Next Next post: Happy Queen’s Day 2013!! !